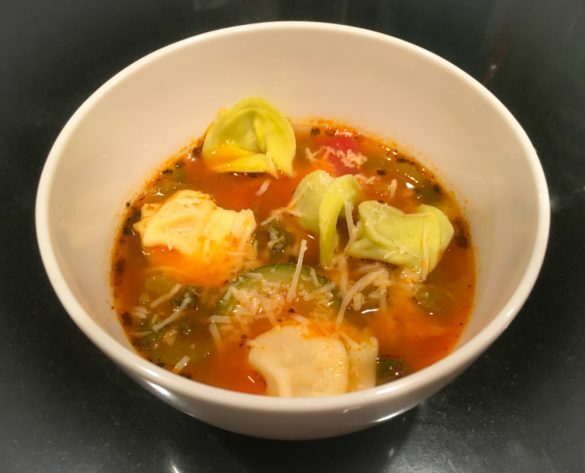 This is a healthy and hearty soup with turkey and plenty of veggies that my family loves. I make this soup frequently when the weather is cold out. I have modified this recipe to be made in an Instant Pot. It’s great when topped with shredded parmesan cheese. 1. Hit the ‘’Saute’’ button on your Instant Pot. Saute the ground turkey in your Instant Pot, using a spatula to stir it for approximately 5-6 minutes until cooked through. Add in the minced onion, minced garlic, and chopped celery and cook it with the turkey until the onion is translucent. 2. Add in the chopped tomatoes, sliced zucchini, sliced carrot or baby carrots, kale, diced tomatoes, tomato paste, basil and oregano. Stir everything in to mix. Add in 2 boxes of vegetable or chicken broth and 2 cups of water. Add in the ½ cup dry red wine if you are using it. Put the lid on and make sure to close it correctly. 3. Make sure the steam release valve is in the ‘’Sealing’’ position. Hit the ‘’Soup’’ button on your Instant Pot. It will now slowly go to high pressure and cook for 30 minutes. 4. Boil water in a separate pot and cook the tortellini according to package directions. Drain the tortellini. 5. After the 30 minutes, you will see the pot switch to the ‘’Keep Warm’’ setting. Allow the pot to reduce in pressure naturally and do not open the steam release valve. The Instant Pot will go to low and you will see LO and the number of minutes it has been on low and the button will be on the ‘’Keep Warm’’ setting. Wait until the soup is on “LO 10”, meaning it has been in the low position and keeping warm for 10 minutes. Then open the steam valve and allow it to release the pressure. You may want to put a paper towel over the steam valve so that it doesn’t spray. Carefully and slowly open the lid when the steam is done releasing. 6. Taste the soup and season with salt, pepper, Italian Seasoning, and Cavender’s Greek Seasoning. Do not over salt. Ladle soup into bowls. Serve the tortellini and freshly grated parmesan on the side and allow people to put as much in their bowl as they want. *I usually like using 1 32 oz box of vegetable broth and 1 32 oz box of chicken broth but you can totally use 2 boxes of chicken broth or 2 boxes of vegetable broth. * This recipe can be made vegetarian if you use 2 boxes of vegetable broth and substitute tofu or a meat substitute for the ground turkey. * This recipe can be made over the stove but you must add 4 cups of water rather than 2 cups because the water evaporates faster.